in the current development of my game, I’d need to use rectangles with rounded corners. It appears this is not supported by the cocos renderer? Is there any known way to do this? I’m afraid I won’t be able to use simple sprites instead of the rectangles, because I have rectangles of many different sizes and programmatic determined colors. I have a question about your exact use-case: Is it really just rectangles with borders that you need, or would you also need sprites? What you are looking for, could probably be done by adding tinting (dynamic change of colors of sprites) and 9-slice sprites aka 9-patch sprites. 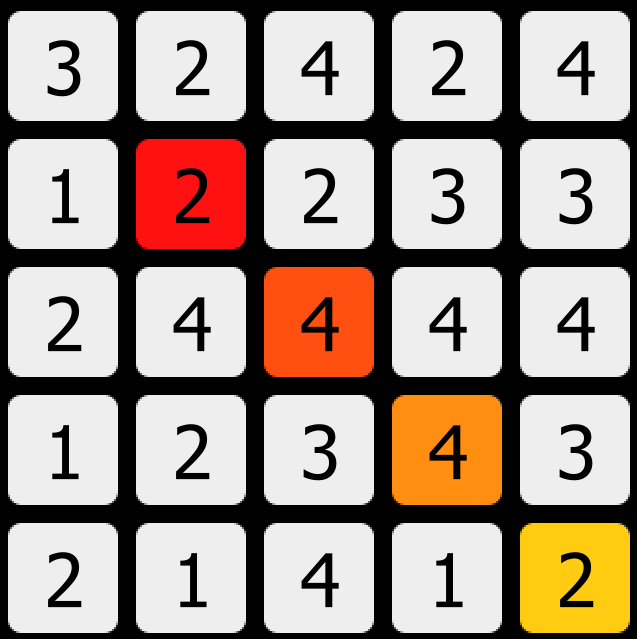 You could implement the 9-patch technique by yourself by placing images with a Grid element and scaling the inner part appropriately. But for the sprite tinting we would need to add support for it to Felgo. If you rely on rectangles (which have a worse performance than batched sprites though, because they are not batched and each rectangle requires an own draw call) there is currently no way to get the rounded borders. We are working on an improved clipping item though, which also supports a texture and not only rectangular area. But you would still require a 9-patch texture then so the borders look sharp on each platform. I would rather go for a 9-patch sprite with tinting as described above (which we both need to add to the engine first), but if you could describe your use-case more another solution might be better! thanks for your answer. I think I could work with sprites and tinting, I won’t even need 9-patch because the radius of the rounded corner is proportional to the rectangle’s size. So different colors and sizes of a rectangle with rounded corners. How would one implement tinting with Felgo? Ok I see – how many colors are you planning to have approximately? Currently tinting is not supported, we need to add this to Felgo. In the meantime, you could use one image per colored rectangle and pack everything into a spritesheet. Hmm I see, so this would be the only solution at the moment. The problem is, I would like to determine the color of the rectangle at runtime, I have a start and an end color, and want to interpolate 2-4 colors in between, like you see in the screenshots, only the brightest and darkest color is determined at compile time. EDIT: Should I be worried about performance when I have about 11×11 of those “constructions”? The images for the rectangle are in 256×256 for HD2, 128×128 for HD and 64×64 for SD. Wow that is a pretty cool solution! I.e. you got 121 elements of it – in that case maybe use a SingleSpriteFromFile as it is only 1 draw call for the sprites and not 121 of them. 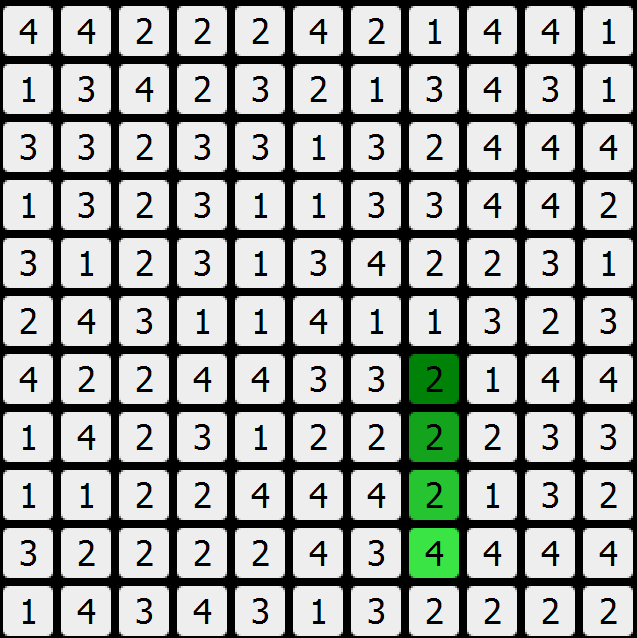 The rectangles are still 121 draw calls but you can’t change that, so this is the maximum you get out of it. Anyways, it would be best to test it on lower-end devices and first have a look how much performance is affected, because it might not be that bad..
Is it supported to scale a SingleSpriteFromFile? Because the number of those rectangles is variable from 5×5 to 13×13 and so the size would differ all the time. If not I think I should create one rectangle image for every one of those sizes? Yes you can set the width and height explicitly and the image gets then scaled to this size, or adjust the scale factor of SingleSpriteFromFile elements. I would love to see a tutorial about buttons with rounded edges using sprites. It’s an all time classic topic. there are several ways to achieve this, highly depending on the use case. The easiest way i can think of is creating an image with round corners and then creating a button using the image as background. What kind of buttons were you thinking of? Like Chrisu, with “random” colors? A possible downside of his solution is that the edges are not transparent (if needed), but have the background color instead. As a newcomer I wondered the same thing about rounded corners – seems like radius is not supported. It’s minor, but the problem for QML newcomers like me is, I press F1 on Rectangle in Qt Creator, and get the QML help for Rectangles, and copy & paste the first example, which happens to be a rounded-rectangle, and run it, and find the rendered shows a regular rectangle. I think gradient is not working either. I guess I can understand the reason for the omission, but as a suggestion I think it’s ideal to show a web page with a table of QML components & put a tick next to supported elements/members and a cross next to those that are unsupported. For the current version, the solution provided by Alex above with using images is also the one with best performance and the one recommended. I’m just wondering if tinting was ever introduced? If so, it would be useful.